Cherry And Plum Blossom recipe by Mona at PakiRecipes.com. 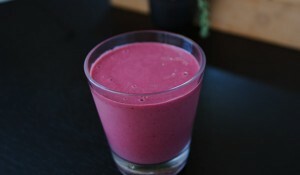 Plums and cherry are great, flavorful fruits to add to a smoothie. Cut the cherries n plums and take out there seeds. Now add cherries,plums,vanilla icecream,milk and crushed ice (sugar may be added depending on how much sweet u like) in a blender and shake it well.